While just a generation ago, marketers could afford to take a one-size-fits-all approach to creating customer experiences, today’s tech-savvy customers expect more and more from the brands they interact with. Consumers not only expect the right products at the right time, they also require a seamless customer journey that’s both efficient and entertaining – and highly personalised to match their particular needs. You’re probably scratching your head and wondering how exactly a company with hundreds of thousands of customers across the planet is supposed to come up with marketing campaigns that tap into the needs and desires of each and every one of them. Well, that’s where artificial intelligence comes in. Traditionally, marketers looked to the past in order to attempt to deduce how customers would behave in the future. The whole process was heavily based on speculation and wasn’t great when it comes to creating personalised marketing campaigns targeted to a particular customer’s needs. Likewise, vague buyer personas based on personal details such as age, location and profession didn’t take into account essential aspects such as a user’s day-to-day habits and online behaviour. AI-based solutions enable marketers to take things much further, building up detailed consumer profiles from data from a wide variety of sources that include previous purchasing behaviour as well as social media profiles, web searches and all exchanges with your company. If you think about it, detailed information such as “Stephanie, single woman aged 25 who works in PR, does Pilates twice a week, shops at Zara and spends her lunch hour chatting to her friends on Messenger and looking for love on dating apps” is far more conductive to helping you create a meaningful marketing experience for that person than just “Single woman, aged 25, who works in PR”. Thousands of companies are vying for the attention of 25-year-old Stephanie. And even in the age of ubiquitous messaging apps, email remains one of the most efficient marketing channels out there. Statista reckons that in 2017, 269 billion emails were sent and received each day and that those numbers are set to keep rising. It therefore makes sense to ensure that the emails coming from your company are as attention-grabbing as possible by ensuring that you’re engaging potential customers with relevant content that reaches them when they’re most likely to open it. AI helps you engage with customers on a granular, subscriber-to-subscriber basis, by segmenting lists based on their behaviour, working out the most efficient send time and setting up triggered automation (also known as “drip”) campaigns that send out pre-written emails in a timely fashion. One of the most interesting AI advances in recent times from a digital marketing perspective is the development of NLP (Natural language processing) and NLG (Natural language generation), which respectively interpret text and generate it. A major use case for NLP and NLG is, you’ve guessed it, creating compelling email subject lines as well as email copy and CTAs. Virgin Holidays recently generated millions of dollars in revenue by using the AI tool Phrasee to automatically write email subject lines, leading to a 2% bump in open rates. However, the power of NLG isn’t restricted to short and sweet content such as email subject lines. You may be surprised to know that you’ve probably been reading content written by a computer for years – it’s been common practice in financial and sports reporting for quite some time now. Producing content for websites and blogs, not to mention the follow-up link-building, is both time-consuming and expensive. AI-based tools can automate the production of routine content and summaries before taking care of the editing, allowing you to dedicate more time to research and strategic operations. Alongside tools that actually generate content, there are solutions out there that also ensure your content is as grammatically correct and pleasant to read as possible, while others collect data about what your competitors are writing about and suggest topics to keep you ahead of the curve. By getting to know your customers better, you can ensure that your company provides them with effective, entertaining and timely customer service. 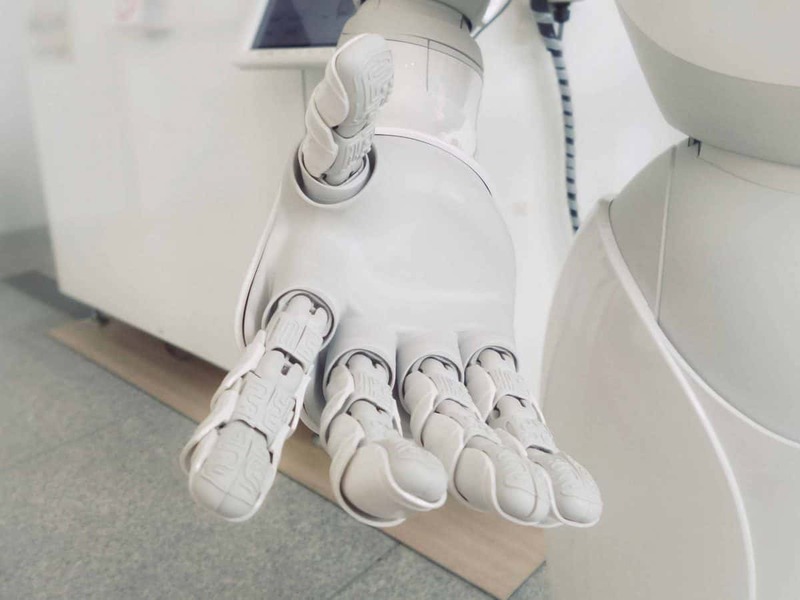 And while AI, as we’ve seen above, is great at collecting the data required to do that, you’re probably wondering how it can actually help you put it all into practice. The answer is chatbots. While you’re probably familiar with these little guys from a customer support perspective, they can offer so much more. Thanks, yet again, to NLP, they’re now able to converse with customers through human language, answering complex requests, conducting research, pointing users in the right direction, processing payments and even following up post-sale. Many brands have chosen to integrate their chatbots within the instant messaging platforms their customers use every day, such as Facebook Messenger, Viber, WhatsApp or Kik. The restaurant chain Pizza Hut has been using chatbots for the past couple of years now, allowing customers to place orders through Facebook Messenger, Twitter or Alexa, chose from popular items and pay directly through the app, thus removing several steps to purchase. According to research carried out in 2015 byRJ Metrics, the top 1% of customers are worth 18 times more than the average customer. This means it’s in your every interest to cultivate and engage with that top 1% – while doing what you can to convert average customers into top customers. AI-powered recommendation engines feed off cross-channel data in order to reach out to customers with suggestions for products or services they could be interested in. And we’re no longer talking the “You recently bought a lawnmower, you might also be interested in…” recommendations of yesteryear. Several brands, including Starbucks, H&M and Nordstrom, use chatbots to ask customers about what they’re looking for and then come up with highly tailored products suggestions that in some cases take into account other factors such as the weather, their location or the time of day. Thanks to artificial intelligence, marketers now have a wealth of knowledge at their fingertips that enables them to gain a better understanding of their customers, create meaningful personalised experiences, produce great content and make their working day easier while they’re about it. What are you waiting for? Get started!